Throughout the past decade, public relations pundits have trumpeted the rise of the personal brand in the digital era. 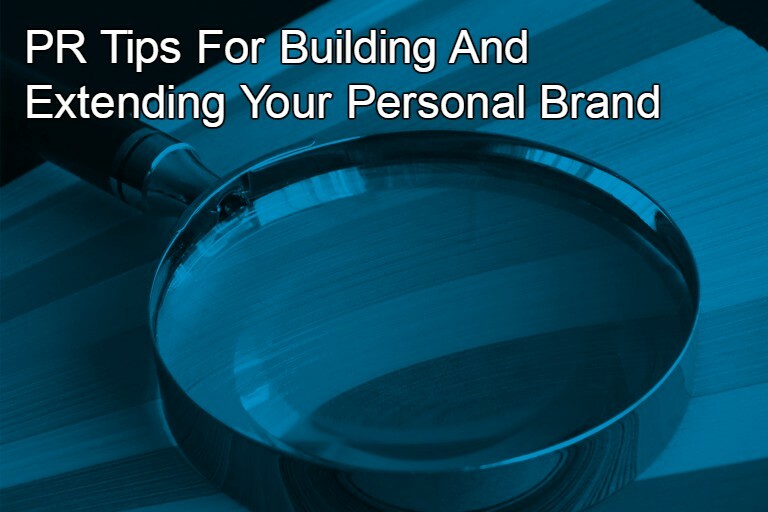 By now we expect that many have mastered the basics of personal branding, but it’s not as easy as setting up a social media presence and hoping an audience finds you. There are concrete steps to take to build and extend your brand once you’ve established an initial presence. Ask this bottom-line question: have you created an online presence that conveys credibility and authority or expertise in a given area? Does it tell a story about who you are? Identifying your place in the marketplace compared to competitors and colleagues; what are your strengths and weaknesses in light of your goals? What do you do better than most? What do you want to be known for? A look at your audience and their expectations; what does your audience want? Where does your offering overlap with your audience’s needs? The audit’s results can inform tactics for attaining visibility, engaging visitors and growing followers. Begin with a content plan. This should encompass key topics related to your expertise, content frequency, and the most relevant social platforms. Monitoring content performance will help determine whether the content you’re producing is helping you meet your goals. Consider relevant content marketing metrics like leads, UVM and social media engagement. And if you’re not where you want to be, there are other ways to increase your brand visibility. For example, consider adopting a regular commenting strategy to help demonstrate your expertise. As we’ve written, commenting can be useful for engaging peers and prospects and, over time, for content ideas. Think about adding value with a sharp observation or question. Commenting on blogs helps define your brand, and when done well, attracts visitors to your site Add this to a revised brand plan, with an achievable goal – like becoming a community member of the top five blogs in your industry. Share parts of your journey – good and bad – as they happen. Every brand should have a story. Yours is likely a mix of your personal narrative and the career steps and experience that have informed the insights and expertise you offer. If you’ve experienced a critical turning point and what you’ve learned is helpful to others, share it. If you have practical pointers on securing financing, hiring hints or partnership advice, share that as well. Tales of adversity along a journey also make for great content, because everyone can identify. Jim Curtis, President of custom healthcare publisher Remedy Health Media, loves to tell the story of how a mistake he made at his brokerage firm made him realize his real passion, healthcare, and start a new career. These stops along the way are fodder for multiple content options like speeches, blog posts, bylined articles and more. Show off in a smart way. When your brand has established a foothold, it’s time to crow a bit. Showcase the knowledge and experience that has brought you to this point. Importantly, “show off” in a voice that’s truly yours. We aren’t all brash risk takers like Elon Musk or committed philanthropists like Burt’s Bees co-founder Roxanne Quimby. Although “be authentic” can be overused, it has never been more relevant than in the era of fake news. Think about who you are and embrace the voice that is yours once you find it. Then take it out for a spin. Step up your speaking game. Invest in trade or business PR to tell your story to the press. Partner with complementary businesses to create content and other marketing initiatives such as co-sponsored panels and other events. Find dynamic and interesting ways to display your thought leadership and draw traffic to your profile and website. Have a differentiated point of view. There’s no better way to stand out than by developing a distinct point of view. It might be contrarian or revolutionary or just outside of mainstream thinking. A new business book poised to hit the bestseller list is called Lovability: How to Build a Business That People Love and Be Happy Doing It touting the importance of turning business strategy and product roadmaps into customer love. You may not be ready for a book, so use your comment strategy and your social profile make your voice heard. Daily writing like this will help prepare you to tackle longer content, like a research-based whitepaper. Well-written long form content can be effective no matter what kind of business you have; the best content offers solutions to business problems without being self-serving. But it should be persuasive, urging the reader to take action, like identifying expert resources like yours. Think of ways to generate data or statistics in your area of expertise. This could be a survey of industry colleagues or an online poll or petition geared toward a key population. The more provocative and newsworthy, the better. Media love data, so look for ways to generate publicity for the effort. Data can also be useful in planning your content program. Review your own analytics to see what’s working and what can be improved. This can lead to some tough decisions like overhauling your social presence and your website, but evolution is part of branding success. This doesn’t mean give up your day job. But having mastered personal branding, it may be a good time to consider branching out in a complementary way. For example, many professionals harness their skills and begin teaching or coaching as an avocation. These endeavors broaden experience and offer fresh ideas to communicate through content and discussion. Still, others opt to go headlong into a meaningful mission or cause beyond business. If feasible, elevating your sites through philanthropic work by joining a board or volunteering for a high-profile event is a win-win because it will raise your personal profile while satisfying your idealism. Then there are those who make a complete 180, who abandon lengthy careers to pursue the arts or travel. As romantic as that seems, however, there are pitfalls, as this Medium piece points out, so think long and hard about a total personal rebrand.